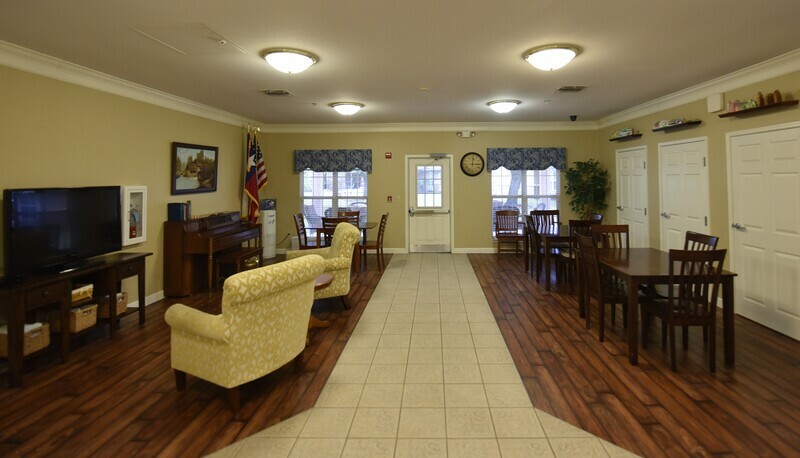 Seguin Assisted Living residents can be as social or as private as they want to be. 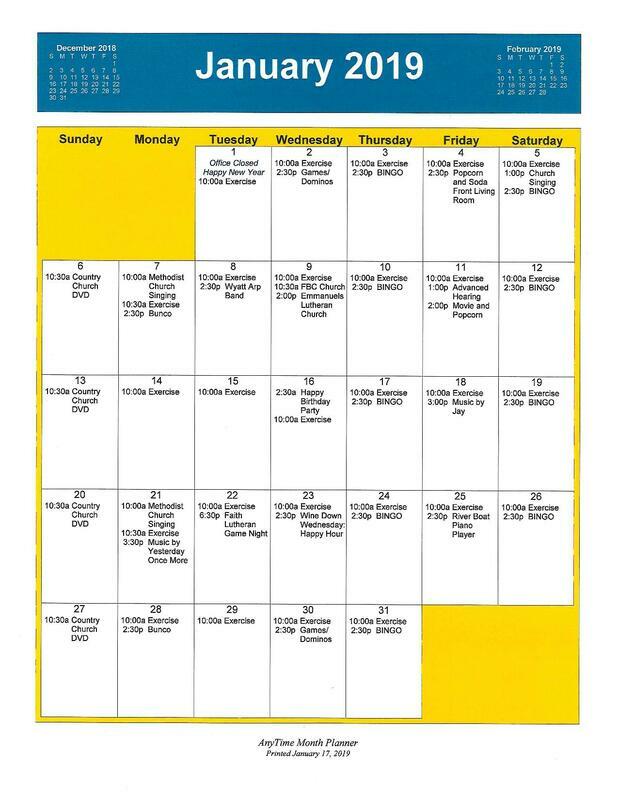 We encourage our residents to attend daily activities. 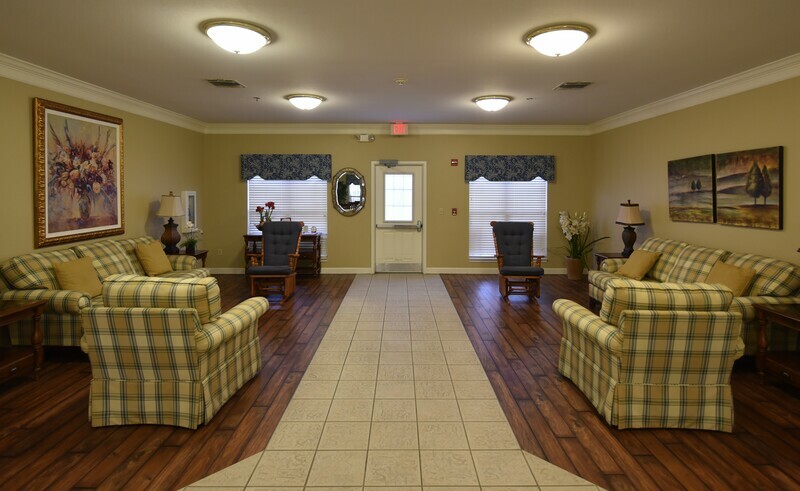 It is our goal to keep residents active and independent with activities that they are interested in and build lasting relationships with residents and families. 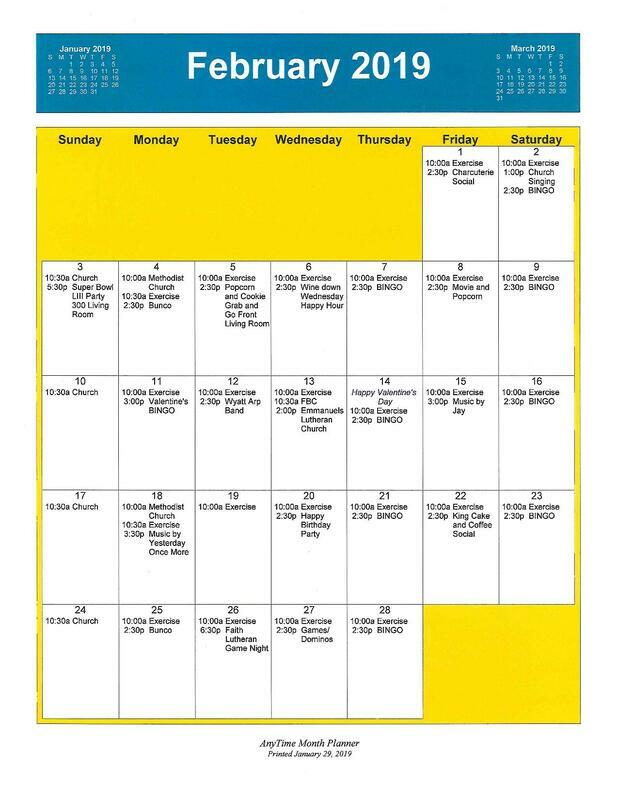 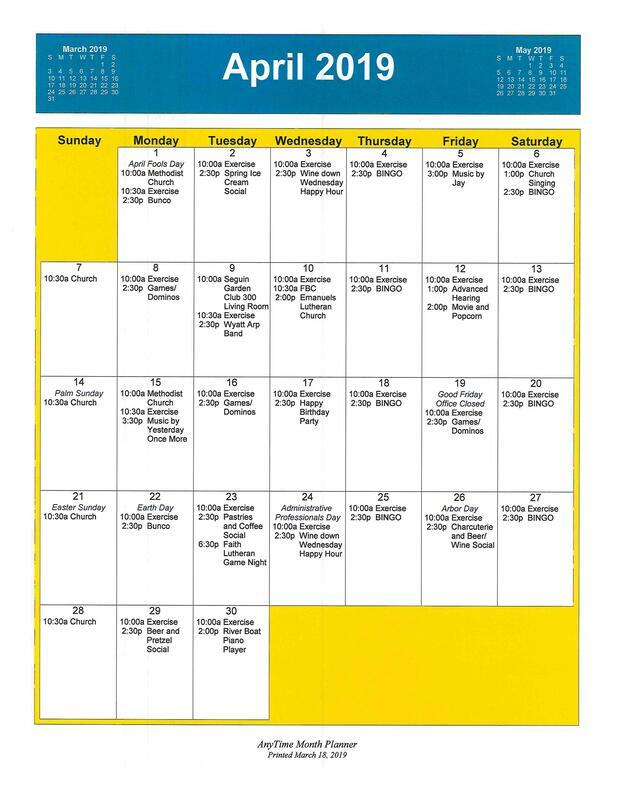 We offer activities for everyone to participate in and enjoy throughout the month. 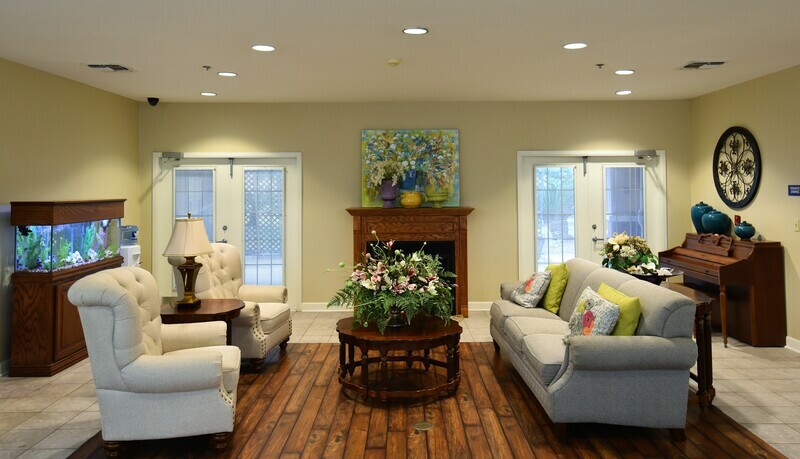 Activities are designed to be engaging for the resident and encourage socializing. 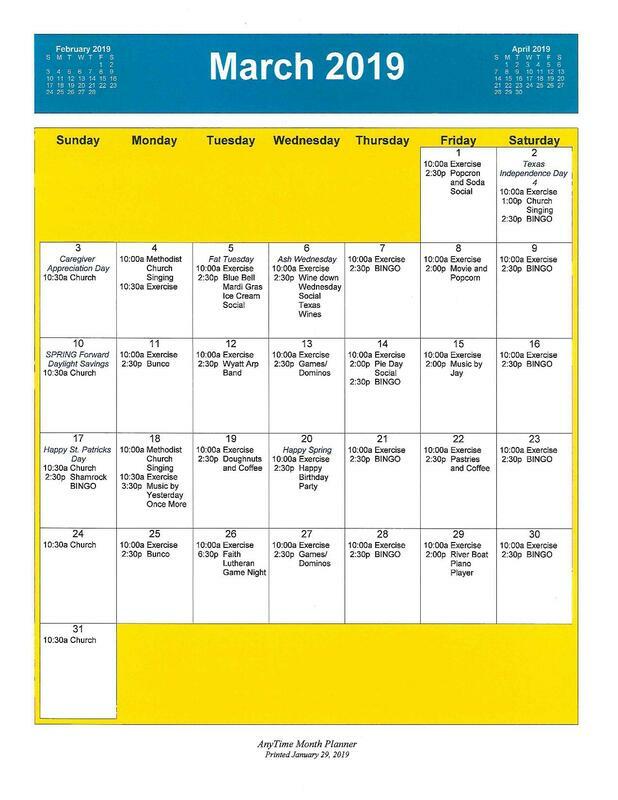 We have several community volunteers and churches that come in and provide activities, singing, communion, church programs, bible studies and many more fun and exciting programs.